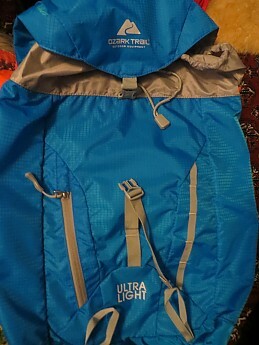 "Ultra Light" pack bought on a whim. I was astounded at how well it worked for me. Everything you need, and nothing you don't. I know some will immediately dismiss my review simply because I bought this pack at WalMart. I've been attempting to drop weight for the past several years, mostly because my knees can't handle it. My shelters have gotten lighter as have my sleeping system — next in line for a diet was my carry system. Funds, however, were non existent and my CFO (i.e. my wife) wouldn't increase my discretionary fund. 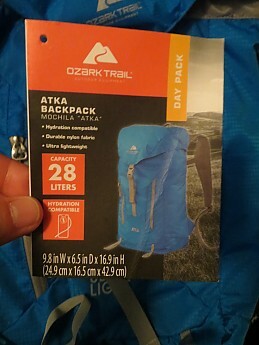 I saw this pack at Wally World and figured, $19 for a 28-liter pack, I'd give it a shot. If it doesn't suit my needs, one of my daughters would be able to use it. Fit and finish were pretty good — no loose seams or stitching. Stitches appeared evenly spaced and of uniform distance from the fabric edges. 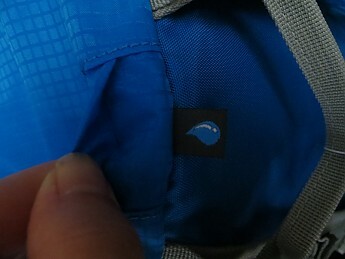 The main packbag is made of a micro ripstop. There is a lack of reinforcement on the pack's taffeta bottom, though. Shoulder straps are lightweight mesh-lined with very little padding. I was a little concerned with how the straps would distribute weight. Prior to taking it out on the trail, I did give it two coats of silicone spray so that it would shed water. Packing-wise, I chose to line it with a garbage disposal liner. All told, my pack weighed 11.9 lbs. Empty, the pack weighs 14.8 ounces on my scale at home. The pack carried well with the nearly 12 pounds. Fit was good with just shoulder straps and an elastic chest strap. I found I didn't miss having a hip belt. 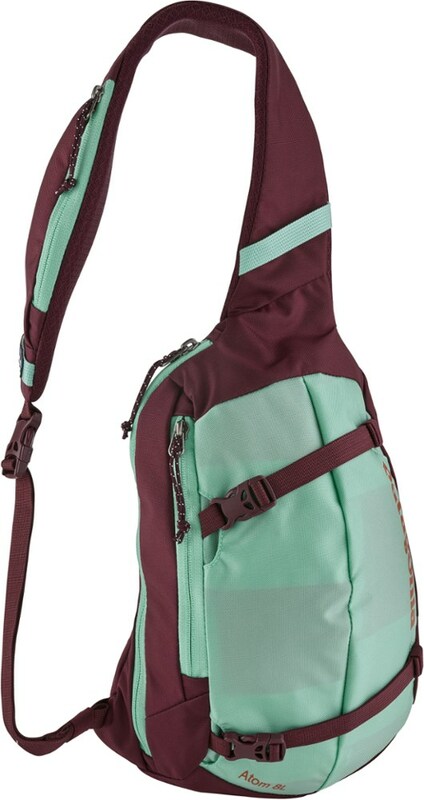 Aside from the main pack bag, there is a small zippered compartment on the front, that, depending on how much you have stuffed inside, is pretty tight. I managed to fit my headlamp, lighter, map, compass, and some tp in the pocket. For the second overnight hike in which I used the pack, I left the hammock at home and stuffed an REI Stratus insulated pad and lightweight bivy inside. All told, I've had the pack on my back for about 50 miles. Keeping the load under 15 pounds seems to be the key. I really wanted to use it for our fall two-nighter on the AT, but was unable to fit my bivy with a 20 degree Kelty Cosmic down bag inside. I contemplated stepping down to the 45 degree bag, but thankfully, did not. We got a freak snow overnight. 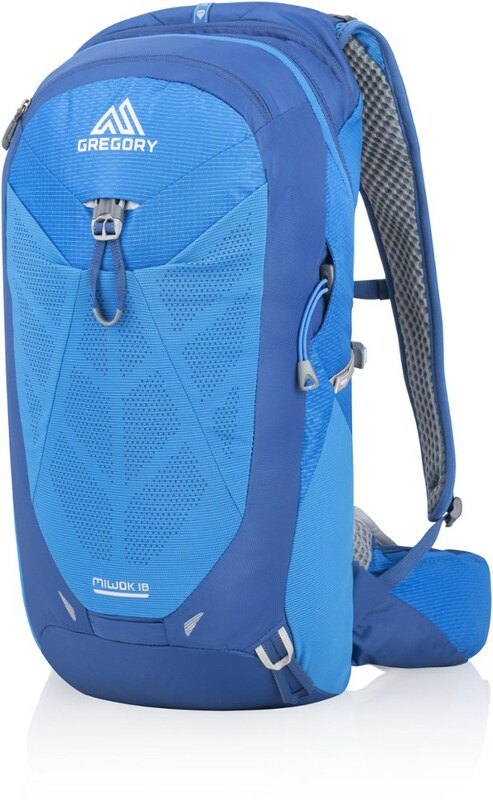 This pack has no extraneous features, save for the small front zip pocket and an internal hydration sleeve. There are no compression straps or other means of securing anything to the outside of the pack, aside from the "daisy chain" on the front. My only knock on it would be the lack of a small water bottle pocket. 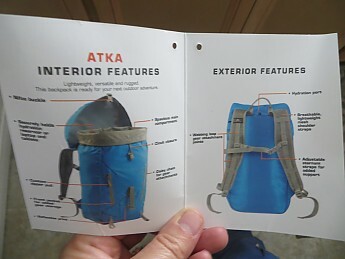 I drooled over all the lightweight packs from the major manufacturers for a few years. There's no way I can justify paying five times more for something that might carry just as well. I plan to pick up another if/when this one wears out. Online at walmart.com, it shows the pack is out of stock. I checked my local store on 2/15/16. They had two in stock. Nice review, Matt! Thanks for sharing it. I hope the pack continues to work out for you. 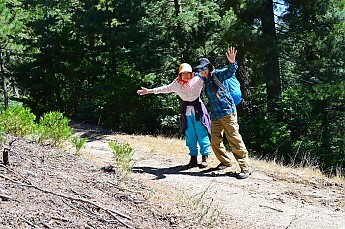 Handy in town on trails and for short hikes away from basecamp. 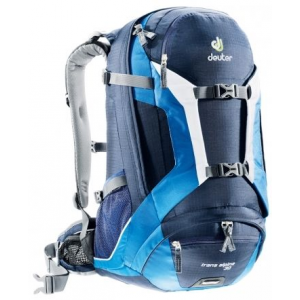 It is an ultra lightweight daypack made from durable nylon fabric. Hydration-compatible, it is versatile and rugged. 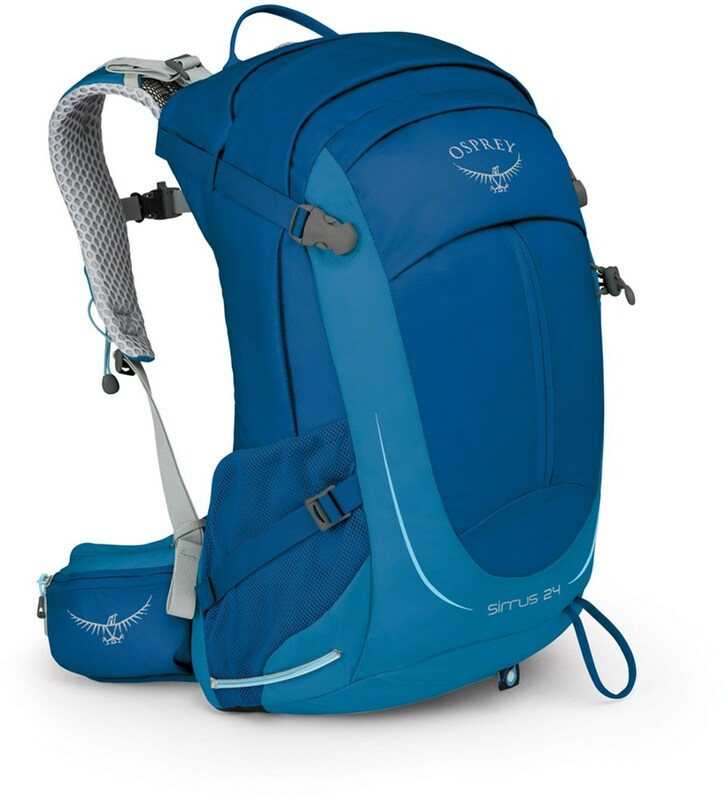 This backpack is ready for your next outdoor adventure. I bought this pack recently on a whim while shopping Walmart. I needed a day pack and didn't really have lots of time to search at REI for the various styles provided having only gone to one store. 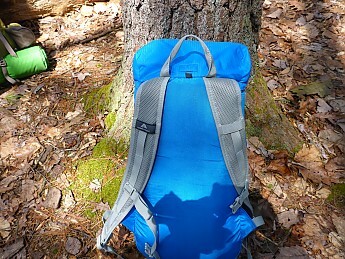 This daypack ended up being the cheapest after a quick perusal. Walmart had a small section of packs and for the most part I was satisfied. Also, a few colors to choose from. I decided to get this one for a light hike I was going to be doing while camping. 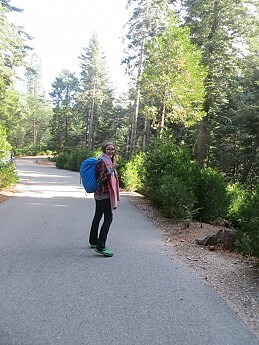 We recently took a camping trip to the mountains and I needed a lightweight pack to hold my toiletries (soap, shampoo/conditioner), fresh clothing change and my crocs/hiking boots and my towel. This daypack came in handy just for what I intended. I carried this daypack back n forth on a trail to the shower while camping. The bag stayed in place on my back using the sternum strap. 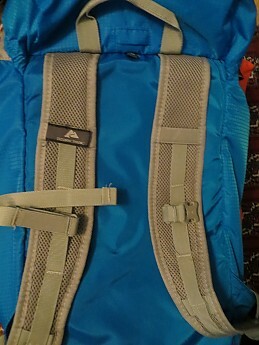 The shoulder straps were a lil thin and did not have much support to hold anymore weight than I was carrying yet comfortable enough to where I did not need a daypack with wider straps and more foam. My shoulders did not chafe nor rub or irritate while walking and I did not get any bruising on my hips. I only walked about a mile away on a dirt trail to the showers but it was not a flat surface and the equiptment on my back was stable. Fast and easy to adjust and all buckles and webbing are in good quality. I sweated just a bit but not too much since the walk was short (and I didn't want to sweat after a shower). I do not know if this daypack is waterproof. 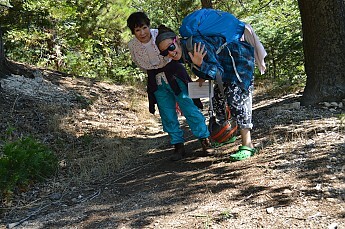 I did finish my activities very sweetly and was able to walk and hike without carrying anything in my hands. 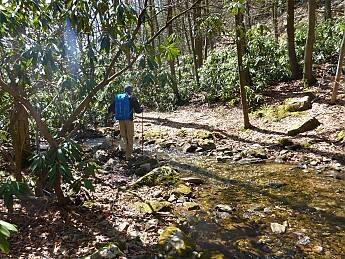 The pack size and weight is good for all my day hiking to any shower. I'm not sure if it is durable enough to hold any of my camera equipment. This pack will make great for a day at the beach with an extra change of clothes, flip flops, keys, tanning oil, towel and a iPod or stuff your lightweight sleeping bag and a jacket. Can be used for many things. I recommend buying one for the price. I can't say anything about the durability, but it's worth your money. I do not recommend for long treks. 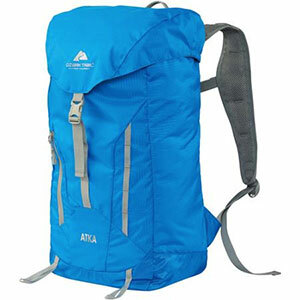 Ozark Trail Atka 28L lightweight backpack. 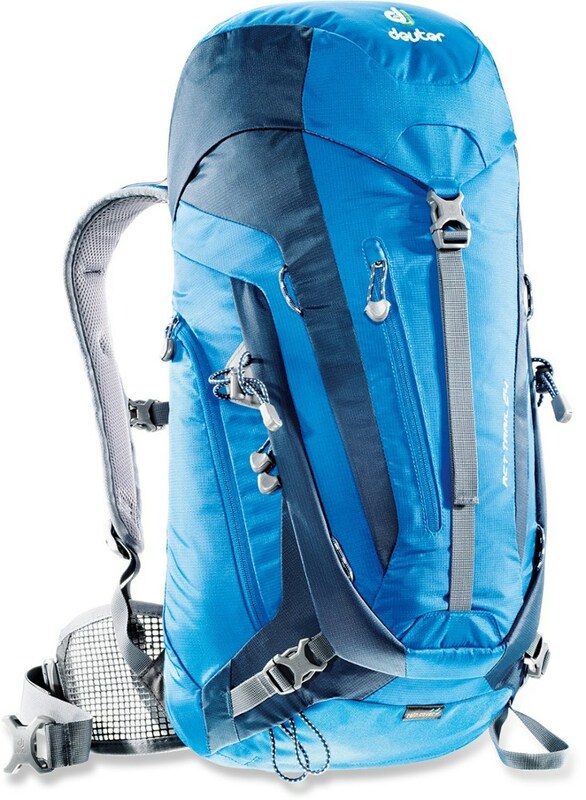 Before purchasing this pack I used a more traditionally styled, and heavier, backpack for daily walks. I recently attended a seminar that explained the major difference of carrying lighter gear while outdoors. It really made a lot of sense. So while in Walmart, I saw this very lightweight bag today and decided to give it a try. While walking in various environments I only need to carry a few items: some water, orange juice, glucose meter, rain jacket, hoody, and keys. Today I immediately loaded it up and went out for a few hours. I have to say it served the purpose. For water and OJ I use Vapur anti bottles which aren't bulky at all. My glucose meter and keys went in the small outside pocket. I did instantly notice the difference of carrying a lighter bag. It was light and surprisingly comfortable. I also don't really prefer single compartment stuff bags, but, this works for what I need. The only thing I might add is a liner for wet days, like a small plastic trash bag. I can't imagine loading this up with a lot of bulky, heavy items. I think it would defeat the purpose. I would use a sturdier bag for that. I paid $18 for it, which is fine with me. After having this bag for 10 months, here's an update. By default, this unexpectedly ended up being my go-to daily bag for several months. It's been stuffed to capacity with almost everything I had to carry, including, but not limited to, outerwear, lunch, groceries, laptop, iPad, a Bose speaker, and combinations thereof. I've carried it in bad weather, including rain and snow. Some days this bag was heavier than I would have chosen it to be. However, it took a pretty good beating and has held up. No rips, no fraying, no broken zipper. Because it's basically a single compartment stuff bag, I did have to make sure the items inside were distributed properly. I have used the hydration compartment for items like my iPad. I really, really, like it. If it ever wore out, I would purchase another. Welcome to Trailspace, J. Roc. I hope you'll keep us posted on how the Atka continues to work out for you. Thanks for taking the time to share an update, J. Roc. That's always very helpful. I picked up one of these at Walmart also and I have been pleasantly surprised with it. It only weighed in at 11.6 ounces on my scales and for 28 liters that tops some of the big boy manufacturers. Of course it has no side water holsters, or lid pocket, or hipbelt strap, but I think that all contributes to its low weight. For the water bottles I just use Platypus .5 liter and 1 liter flat style bottles, which you can fit in the main body of the pack on top of your other gear. I can fit the Tarptent Hogback tent in the middle (or my North Face O2 tent—easily), and then my sleeping bag on one side and my sleeping pad on the other side, and still have room for a cooking kit, survival small pouch and some food for a day or two. Multi-day might be pushing it a little bit for this small pack, but for those who can use tarps that don't take up much space you might be able to make it work for multi-day (not sure how anyone can go in the summer with just a tarp—I would be eaten alive by all different types of bugs). All in all a pretty decent pack. I think you could strap things to the outside, as it has a daisy chain and two loops at the bottom. I agree with the other reviewer though, I would not go over about 12-15 pounds with this pack. I don't think I missed the lack of a hipbelt. I tried actually sewing one on, but I don't have the right size buckle to go with the strap, so might won't hold tight. I might actually pick up another for my son to use. 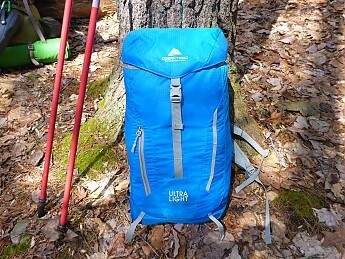 I also use a Marmot 20 liter pack which does have a thin hipbelt, but it is more limited space-wise and weighs a couple of ounces more. Welcome to Trailspace, Scott. Thanks for the review. Got any pictures of your pack you'd be willing to share in your review? 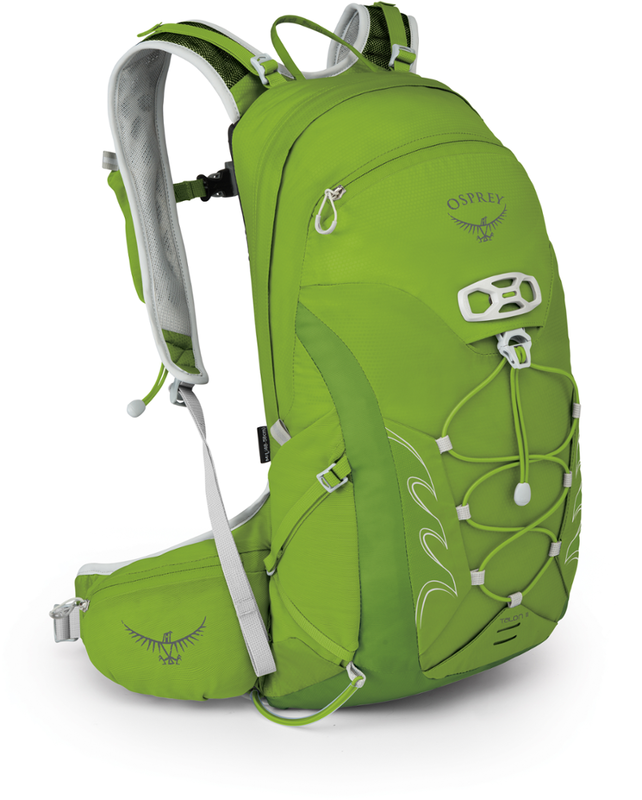 The Ozark Trail Atka 28L is not available from the stores we monitor.